With LED technologies, farmers can today vary the color, intensity and photoperiod of the poultry lighting in houses and barns to improve production. While incandescent, fluorescent or high-pressure sodium lamps have fixed intensity and fixed color and the only controllable variable is the length of daily light exposure, LEDs allow the manipulation of two more characteristics increasing productivity and improving animal welfare. Since LEDs are a relatively new and developing technology, it is important to research prior to purchasing LED bulbs. 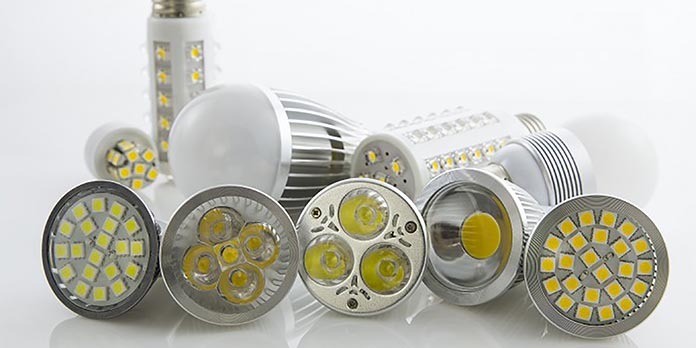 Switching to LEDs can result in overall increased revenue because of the lower energy costs. Light stimulation is fundamental for the starting of many physiological processes. The type of light also influences birds’ behavior, such as feeding activity and consequently growing rate and all the other conditions. Animals receive information about the light in their environment both through their eyes and other sensors in their bodies. In animals, the information the brain receives about light is dependent on the photoreceptors in the eye absorbing the light. If a specific photoreceptor is not found in the animal for a certain wavelength of light, the animal will not perceive the light even though it is present in the environment. Understanding this concept is important when assessing a lighting program; it has indeed to be considered not the color of light in an animal’s environment as much as the animal’s ability to perceive that color. The same is for lighting intensity. The ability to be stimulated by different intensities of light in the environment depends on the number of animal’s photoreceptors. This makes the difference on the level of light that the animal can perceive. Therefore, a farmer can not use measurements of the human perception of light in an environment to establish appropriate lighting programs, but he should use select photometers designed to give measurements reflecting the animal’s perception of light in the environment. 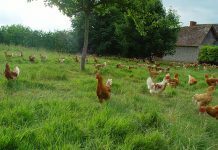 The “extra retinal” light stimulation is a way of perceiving light the poultry have and this way can feel light in the environment through bodily structures other than their eyes. These are known as “extra-retinal” photoreceptors. The pineal gland placed on top of the bird brain represents one of these extra retinal photoreceptors. Poultry have also deep brain photoreceptors collocated at the base of the brain. Extra-retinal light perception stimulates the brain and consequently can trigger physiological responses and affect the animal’s behavior. 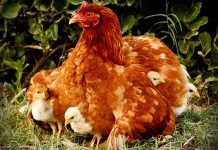 Research has shown that the color of light can have many different effects on behavior, growth and reproduction in poultry. Birds sense light through their eyes and through these photosensitive cells in the brain. Since long wavelengths of light (towards red end of the spectrum) penetrate the skin and skull more efficiently than short wavelengths, growth and behavior are linked to retinal photoreception (and shorter wavelengths) whereas the reproduction has been linked to extra-retinal photoreceptors. From these observations it has been reported that blue light has a calming effect on birds, however, red has been used to reduce cannibalism and feather pecking. It has also been shown that blue-green light stimulates growth in chickens while orange-red stimulates reproduction. Birds have pigmented oil droplets on their cone cells that correspond to peak sensitivities of 415 nm, violet; 460 nm, blue; 510 nm, green; and 560 nm, yellow for young birds with a peak at 580 nm, orange for adults. It has been demonstrated that the lens of birds is transparent to light in the UVA range (320-400 nm). However, they probably see brightness of color different from humans. 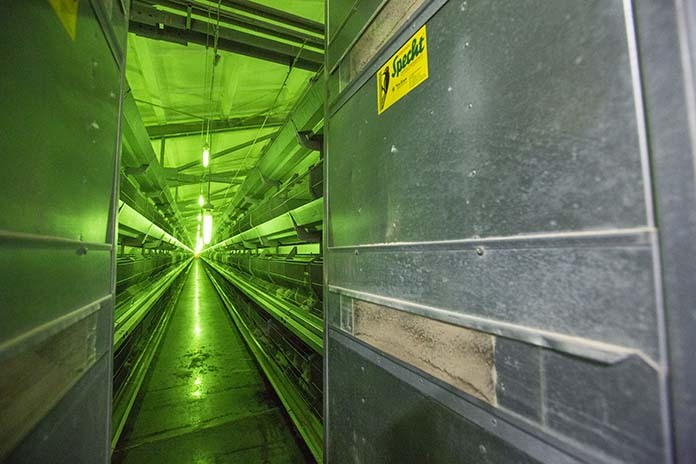 These facts are important to remember when selecting a light source for illuminating poultry. The lighting industry uses four methods to describe light color but only one really applies to selecting lighting for poultry, chromaticity. Chromaticity is the measure of a light sources’ warmth (warm light) or coolness (cool light) expressed in degrees Kelvin. The scale runs from 2000 to 7000K. Chromaticity values of 4000K and higher are considered cool (a lot of blue light), those around 3500K or 3600K are called “balanced” or “neutral” and those of about 3000K or lower are considered warm (more red light). A color temperature designation is truly accurate only for an incandescent lamp because it produces a continuous spectrum. Fluorescent and HID (high-intensity discharge; high pressure (HP) Sodium, Low pressure sodium and Metal Halide lamps) lamps are said to have a “correlated” (apparent) color temperature and are thus always described using the term correlated color temperature. 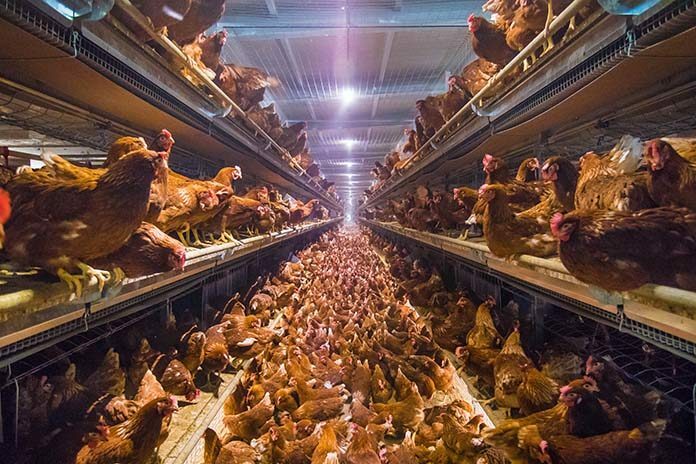 Some recent research using LED lighting programs has emerged and LED lighting is now being utilized by the poultry industry. It must be remembered that LED lighting is a new technology, having developed into widespread commercial applications over the past 10 years. LEDs are a type of solid-state lighting as they emit their light from a solid semi-conductor chip or diode (usually made from silicone). This allows LEDs to have some very specific qualities that make them different from other lighting technologies, since they are not producing light from a filament (as incandescent light) or an excited gas in a vacuum tube (a compact fluorescent light). LEDs allow bulb manufacturers to produce light in specific Kelvin range for targeted uses. The colour of light produced by the bulb can be changed by altering the number and type of individual light-emitting diodes, which are used in the bulb. Since LEDs produce light from a chip, the light radiates from one point and lenses are added to focus the light into the desired beam pattern. Lighting layout and equipment selection is critical to achieve the desired light levels and coverage at bird level. LEDs can produce light that is spot specific or in a side-to-side or end-to-end orientation. LED lighting does not require any warm-up time as fluorescent and compact fluorescent lighting do. LEDs come on at full brightness with no warm-up period. Even as the temperature drops, LEDs remain instant on/off lighting. Unlike traditional light bulbs, LEDs do not release or radiate heat, instead they conduct heat. As a result they must be manufactured with a heat sink. The fins act to increase the surface area and disperse the heat away from the diodes and to the outside of the bulb. These heat sinks can be anything from large fins to smaller dimples, smooth sides or even fans, all of which allow the excess heat to be displaced. Due to the lack of a filament, LEDs are able to withstand rougher handling and vibration, but dropping them is still quite hazardous to the bulb’s life. Unlike other lighting types, LEDs are cold loving and well suited to being out in colder areas. As the temperature drops from 24°C to -59°C, the luminous efficacy of the bulbs increases, and the light output from the bulbs can increase by 20%. Some LEDs are dimmable, and that function adds cost to the manufacturing process. Standard dimmers previously used for other lighting types often do not work with LED lighting. This results in flicker, flashes, jumps, dead travel and a change in colour temperature when trying to dim lights to low levels. Install new LED dimmers made specifically for LED lights and the lighting application. Check with the dimmer (driver) or bulb manufacturer for compatibility. LED systems can now be remotely controlled for dimming, colour turning and operation run times. 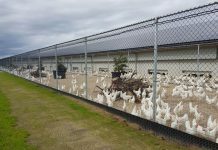 There are many different types of LED bulbs, and it is important to find the bulb that is best suited for use in a poultry facility. 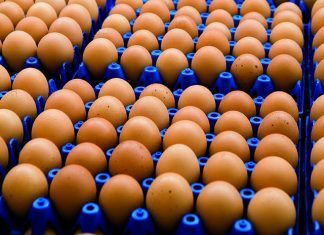 Verify with the manufacturer if the bulb has been tested or used in a poultry facility. In poultry facilities, it is important to be able to dim the lights to control the light level in the barn during different growth stages and to ensure a smooth transition from dark to light and back to dark in order to keep the birds calm. Ensure that the bulb is the correct colour for your environment and birds. As seen, LEDs, like other lighting types, are available in a variety of different colours. Red-orange light is supposed to increase reproductive efficiency while blue-green light is supposed to be better for growth. Taken from: The science of Poultry Lighting by Juliette L. Delabbio PHD – Director of Biological Research and Development Once Innovations Inc. and Lighting for Poultry with Light Emitting Diodes (LEDs) by S. Clarke, P. Eng., and D. Ward, P. Eng., Ontario Ministry of Agricultural, Food, and Rural Affairs.